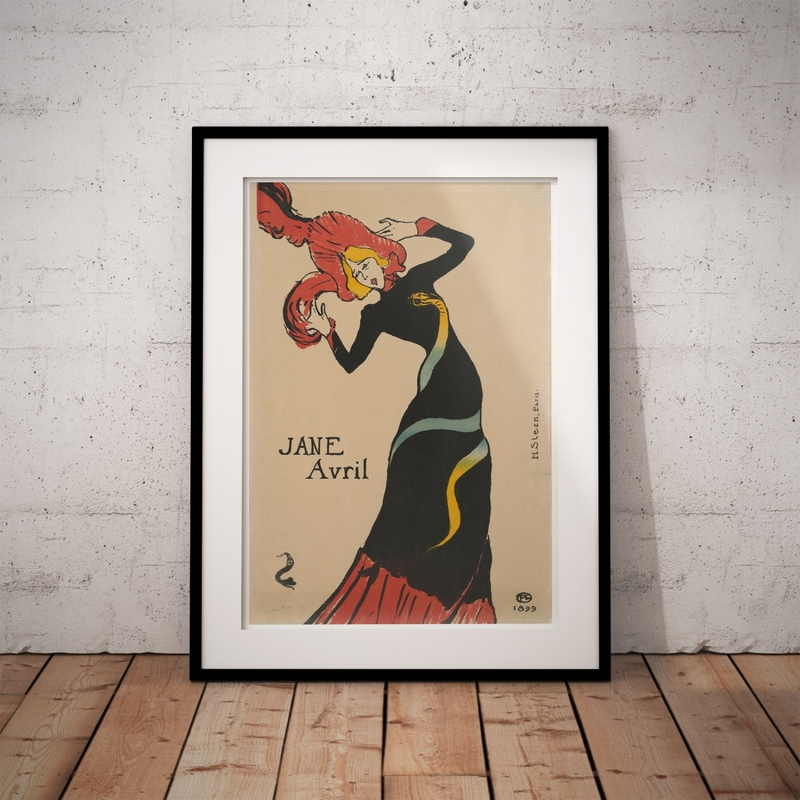 Jane Avril the 'Can-Can Dancer' made famous by Henri de Toulouse-Lautrec. She was born Jeanne Beaudon in Belleville, on 9 June 1868 and Died on 17 January 1943. Her mother was a courtesan and her absent father, allegedly, was a foreign aristocrat. Abused as a child, she ran away from home, and was eventually admitted to the Salpêtrière Hospital, with the movement disorder 'St Vitus' Dance' (now thought to be Sydenham's Chorea). Under the care of Dr. Jean-Martin Charcot, the expert on "female hysterics", she received various kinds of treatment, and claimed in her biography that, when she discovered dance at a social dance for employees and patients at the hospital, she was cured. On leaving the hospital, after a failed romance, Jeanne thought to kill herself, but was taken in by the Madame of a Parisian brothel. 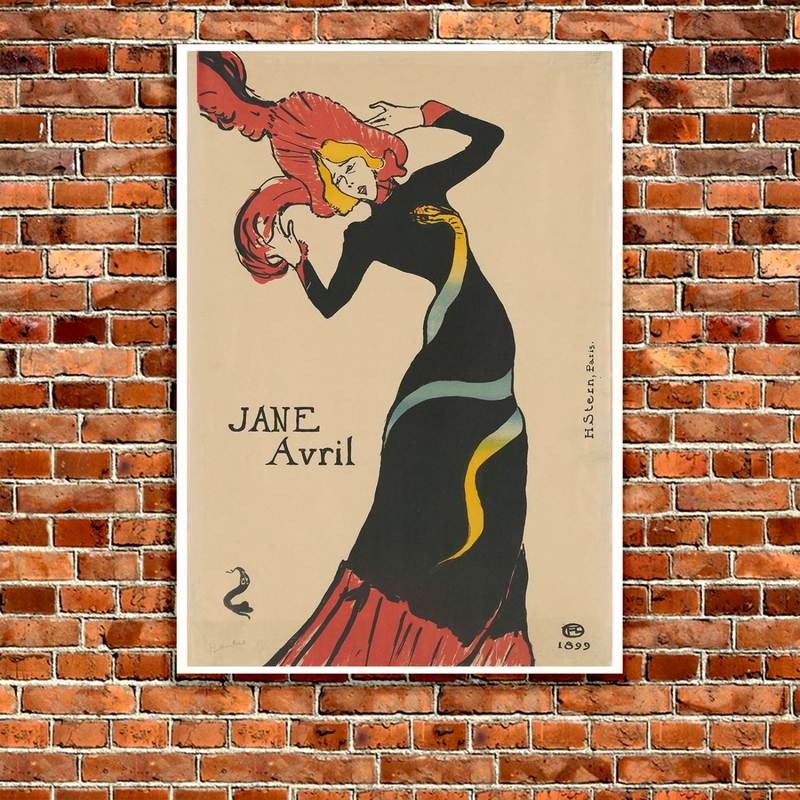 A woman of intelligence and with a sense of aloof grace, at age 42 she met and married the German artist, Maurice Biais (c. 1875–1926), and the couple moved to a home in Jouy-en-Josas at the outskirts of Paris. However, her husband soon began to stray, often disappearing for days at a time, and for years she lived a miserable existence with the irresponsible Biais. Without any financial support following his death in 1926, Avril lived in near poverty on what little was left of her savings. 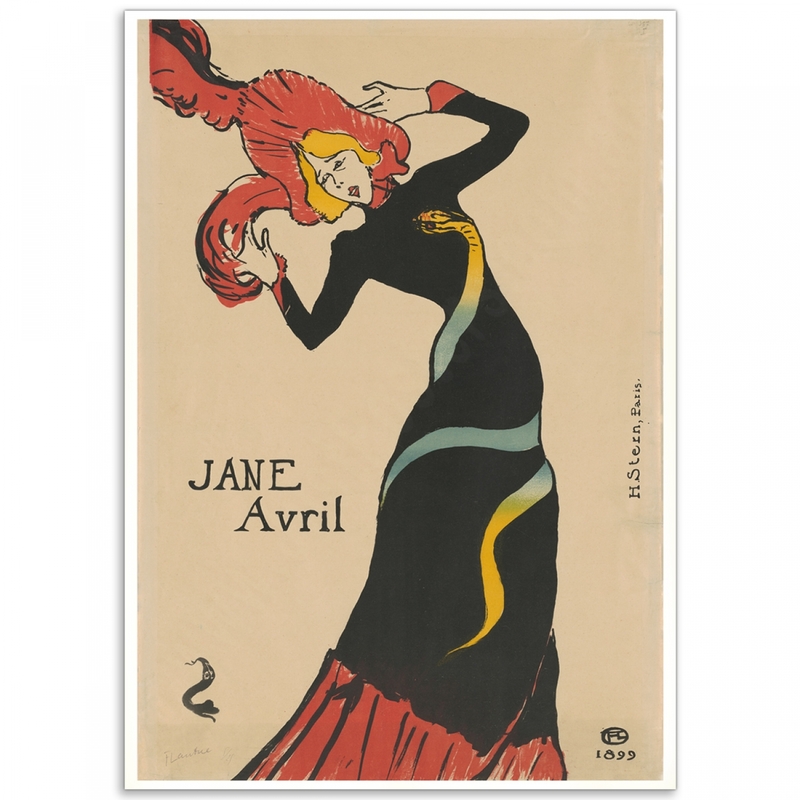 This was the last poster of Jane Avril and the second last poster Lautrec created. Poor health prevented him from perusing this most important art form. He truly was the most significant French poster maker of his time. 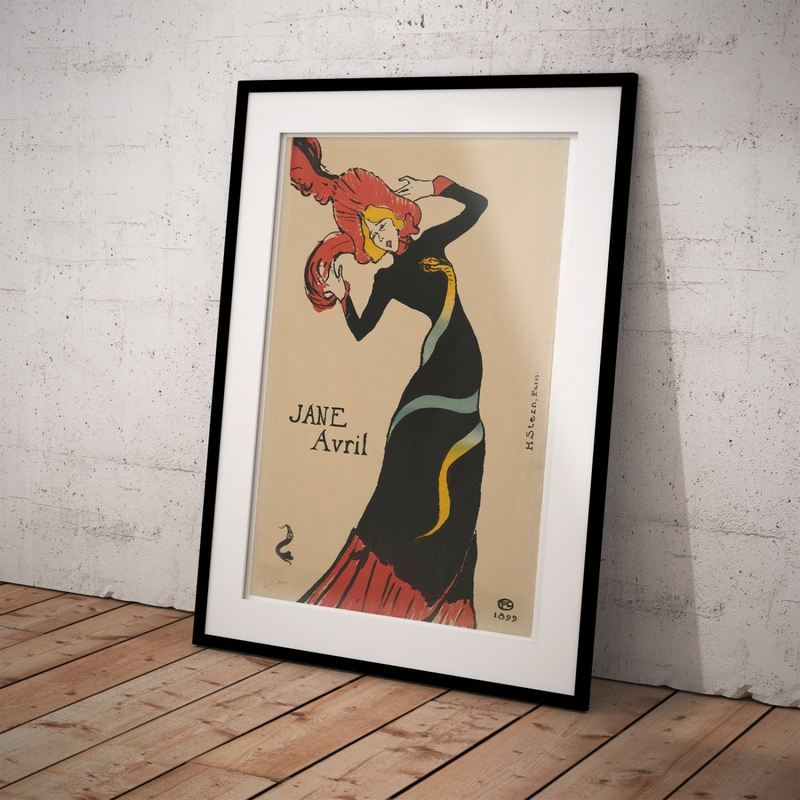 The 'Jane Avril' Poster is a reproduction of a Vintage Art Nouveau Poster. 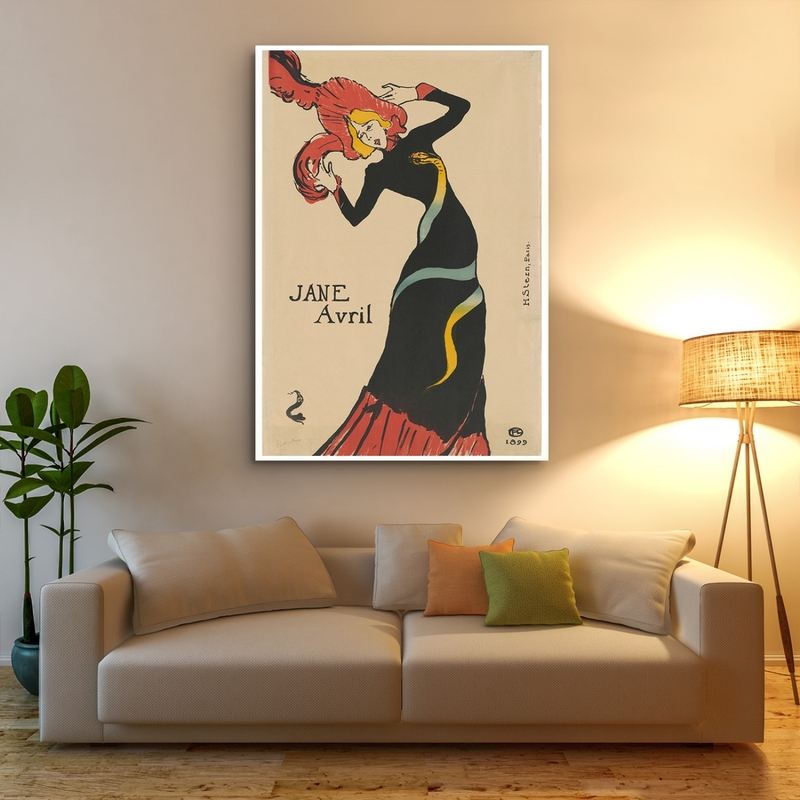 Jane Avril at the Jardin de Paris - Art Nouveau PosterJane Avril was a French "Can-Can Dancer" made ..
Lautrec Reine de Joie 1892 - Art Nouveau Poster Toulouse-Lautrec’s 1892 poster Reine de joie was de..
Lautrec - Divan Japonais 1893Divan Japonais is a lithographic poster by French artist Henri de Toulo..